Can I Choose my own Contact Lenses? Before being fit with contact lenses, a comprehensive eye exam for contact lenses is performed. In this exam, your eye doctor determines your prescription for corrective lenses (just a glasses prescription at this point) and checks for any eye health problems or other issues that may interfere with successful contact lens wear. If all looks good during your eye exam, the next step is a contact lens consultation and fitting at our Mobile AL clinic. With so many contact lens choices, the first part of the consultation is a discussion with your eye doctor about your lifestyle and preferences regarding contact lenses. One choice that today's contact lenses allow you to make is whether you want to change your eye color. Different eye colors are available with contact lenses. Other options include whether you want contact lenses that are designed to be replaced daily or those which can be worn for more extended periods. Most people choose soft contact lenses for their ease and comfort. However, there are also advantages of hard or what is called rigid gas permeable (GP) lenses. All the specifics will be discussed prior to your contact lens fitting. If this is the first time you are trying contact lens, you need to have a complete eye exam in and evaluation to make certain you are a good candidate for wearing contacts. Your doctor will ask about your vision goals. For example, you may only want to wear contacts for sports once per week, or you want your contacts to replace your glasses for everyday activities. Your eye doctor will administer various tests designed to evaluate your eyes for contact lens wear. One important test is corneal topography, a test that maps out the different aspects of your cornea. Corneal topography displays results in a way that is very similar to the topography of mountains. The test results in a map of colors - reddish colors display steeper areas of the cornea, and bluish colors describe flatter areas. Contact lenses rest on your cornea, so it’s important that corneal curvature is measured precisely to ensure an optimal and healthy fit. Another important test is the slit lamp examination. The slit lamp exam is generally performed during a regular eye examination, however, your eye doctor will spend more time doing a slit lamp examination for a patient who wears contact lenses. Sometimes eye health problems are diagnosed during this test, and they need to be treated before the contact lens fitting can proceed. Your eye doctor will discuss different contact lens options with you, and once you decide on which ones will be best, you will try on diagnostic contact lenses. Your eye doctor will administer another slit lamp examination to determine if the lenses fit properly. Finally, a visual acuity test will be performed to determine how well a contact lens corrects your vision. Once the contact lens fitting is complete, if you've never worn contact lenses, your doctor will teach you how to insert, remove and disinfect the lenses. Hygiene, cleanliness, and disinfection are essential for successful contact lens wear. Your doctor will probably ask you to wear the contact lenses for a week before returning for a follow-up visit. At your follow-up visit, your doctor will recheck the fit of the contact lenses, and ask about your vision and any problems you may be experiencing. At this point, your eye doctor will try fitting you with a new lens, or finalize your prescription. If you are dissatisfied with your vision or the comfort of the lenses, your eye doctor will schedule additional follow-up visits. Certain lenses, such as toric lenses for correcting astigmatism or multimodal lenses for correcting presbyopia, can take additional time to achieve a comfortable fit. Patients often wonder why a contact lens examination costs more than a regular eye exam. The reason is that fitting patients with contacts lenses involve additional tests and time (see the section on contact lens fittings). Expertise is required when fitting contact lenses, as this skill is both a science and an art. The process takes time, usually several visits, special tests and a doctor’s expertise. These factors are in addition to the tests that are part of a regular comprehensive eye health and vision examination. 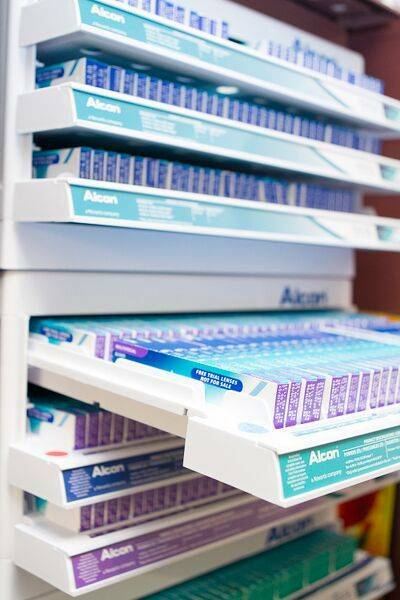 Each patient has individual eye anatomy, eye health, prescription type and needs, which makes contact lens evaluations and fittings unique for each patient. To wear or not to wear contact lenses has been hotly debated for a long time. There are many doctors and patients who believe strongly in the benefits of contact lenses, and there are many who would believe the disadvantages and risks definitely outweigh the positives. The benefits and risks can be debated, but the fact is that more than a hundred and fifty million people wear contact lenses in the world today. While that number is much smaller compared to the number of people wearing glasses, but it is a substantial figure. What’s better for you, wearing contact lenses or glasses? Contact Lenses (contacts) provide excellent vision correction. Contacts eliminate the need to wear eyeglasses all the time. Many people prefer the way they look when wearing contacts over eyeglasses. People suffering from Myopia or nearsightedness, or astigmatism, are often happier with contact lenses. Farsightedness or hypermetropia is a condition that is often better treated with eyeglasses. The different problems in your vision should be considered while debating the pros and cons of contact lenses. Aesthetics plays a big part in the contact lens versus eyeglasses decision. However, not everyone agrees on who looks better with glasses, or contact lenses. Some people like the idea of changing their eye color with contacts. Other people don’t like how eyeglasses feel on their face. Sometimes contact lenses can cause allergies and they can become unusable should a person have a severe eye infection. This is not the case with eyeglasses. It is easier to keep the eyeglasses clean and disinfected. Whenever you are putting something into your eye you are taking more of a health risk than not doing so. However, glasses can fog up preventing vision and can become dirty, which could also lead to eye infections. There are some serious contact lenses pros and cons. Make sure to completely discuss all the issues with your eye doctor before making a decision. Don’t just choose contact lenses because everyone else is. Weigh the aesthetic advantages against the costs and the hassle that you would have to deal with daily. With today's technology, there are many brands of contact lenses available. Different contact lenses have both common and unique features, which are suitable for different users. Therefore, there is not a single brand that is best for everyone, and you must find the best contact lenses that are suitable to your own needs. When you shop for clothing, it is more important to choose clothes because they fit, rather than because they are a certain brand. The same goes for contact lenses. There are many different brands of contact lenses to choose from, and it’s important that you choose the brand that is right for your personality. Choose a lens which provides a good fit, provides good vision and is comfortable to the eye. There is a lot of advanced technology in contact lenses. Some brands offer more breathability and wettability, some offer distance and reading combinations within one contact lens. Now patients with various eye conditions, including astigmatism and dry eyes, can wear contact lenses designed especially for them. There are so many different types of contact lenses available today, that without some expertise, it is almost impossible to know which ones are right for your particular eyes and lifestyle. Soft contact lenses come in monthlies, extended wear, and dailies. You can choose soft contact lenses that are transparent, visibility tint (slightly tinted to be easier to see), enhancement tint (enhances your eye color), or color tint (changes your eye color). If you have astigmatism, there are toric lenses available, and also GP contact lenses. There are other lenses available for patients with other eye conditions. How can you know what is best for you? Our eye doctor, Dr. Jackson will evaluate your eyes and your living environment to recommend the best possible contact lenses for you. You can also ask your eye doctor about the latest developments in the contact lens industry. Make sure your optometrist is offering the latest technology to you. Your eye doctor is an expert in eyes and knowing which contact lenses will be best for you. It’s best to follow your eye doctor’s recommendation. The contact lens fitting involves follow-ups at our Mobile AL eye care clinic, to be sure that the contact lenses are right for you, and if they are not, your eye doctor is the best person to evaluate what is not working well, and which contact lenses might be a better choice. Can everyone wear contact lenses? 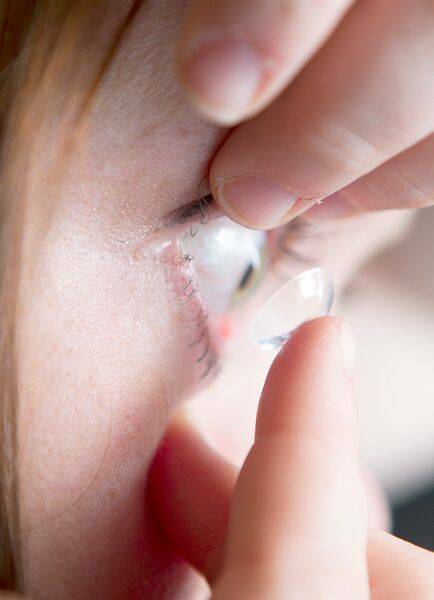 While the vast majority of people can wear contact lenses, they are not suitable for everyone. There are many reasons why some people are unable to wear contact lenses. Certain eye health conditions make it problematic to wear contacts, such as dry eye syndrome. Sometimes the shape of the eye is incompatible with wearing contact lenses. Other issues include a very high nearsighted prescription that can not be corrected with contact lenses or an allergy to the disinfecting solution or contact lens. Some experts even suggest diabetics should stay away from wearing contact lenses because they are prone to infections and their bodies may not tolerate even a mild infection. The truth is that these are the exceptions to the rule, that the vast majority of people can wear contact lenses. Even people who suffer from different eye conditions, including dry eye, who consult with an eye doctor who specializes in special contact lenses, will often find contacts that they can wear, and are comfortable. If you are not sure if you are a candidate for contact lenses, speak with an eye doctor who specializes in fitting special contact lenses. Eyeglasses can be problematic to wear in rain or snow. Contact lenses won't collect precipitation and blur your vision. There are many differences between glasses and contact lenses, but there are also similarities. Both correct your vision, require care in handling and diligence in cleaning, and both are affordable. There are three types of contact lenses that are suitable for people with astigmatism. Soft toric contact lenses, hybrid contact lenses, and gas permeable (hard) contact lenses. To know which one is best for you, speak with an eye doctor who specializes in contact lens fittings. There are different considerations for each type of lens. You will need to speak to your eye doctor about what will work for your lifestyle, and your eye doctor will need to examine your eyes to determine which type of lens will best correct your vision. Of course comfort is as important as vision correction. Your doctor may try several lenses to see which one works best for your particular eyes. Dry eyes present a particular problem for contact wearers. However, there are excellent contact lenses for dry eye sufferers. Most people with dry eye prefer to wear soft contact lenses because they are often more comfortable. Soft contact lenses are made of a flexible plastic that allows oxygen to pass through to the eye. Soft lenses are called hydrogel, which is a gel made mostly of water. There are types that can be worn for a day and then thrown out (disposable), or kept in for up to 30 days (extended wear). Extended-wear contacts can cause more problems with dry eyes. Doctors recommend switching to disposable lenses. Changing your contact lenses often prevents protein deposits from forming on the lenses, which can make your eyes feel even. Lenses that are made from silicone hydrogel cause less water to evaporate and may reduce dry eye compared to regular hydrogel contacts. Proclear is the one brand of disposable lenses that is FDA-approved for people with dry eye syndrome. It contains phosphorylcholine (PC), which is supposed to attract water and keep your eyes feeling moist. Another point to consider is lens water content. Soft contact lenses are categorized by how much water they contain. Low water content lenses contain less than 40% water, while high water content lenses contain more than 60% water. Lenses with high water content can actually cause drier eye than those with lower water content. They send more moisture to the eye when you first put them in but can dry out faster. Your eye doctor may recommend that you try lenses with different water contents until you find one that works for you. Another consideration is lens size. Most contact lenses measure about 9 millimeters (mm) in diameter. They cover just the colored part of the eye (the iris). Scleral contact lenses measure 15 to 22 mm. They cover the white part of the eye (the sclera). Scleral lenses are also gas-permeable, meaning they let oxygen reach the eye’s surface. They can help keep more moisture in the eye than smaller contact lenses. The bottom line for choosing contacts that will be good for your eyes when you suffer from dry eyes is to consult an eye doctor who specializes in fitting contact lenses. Your eye doctor has experience knowing which contact lenses work best for people with dry eyes and will be able to guide you better than anyone else, based on your own particular needs and eye health. Regardless of how often or how long you wear your contact lenses, your eyes should be examined at least once a year at by your eye doctor to make sure your eyes are continuing to tolerate contact lens wear and show no signs of ill effects from the lenses.